We are almost through the medium dog breeds recognized by the American Kennel Club but still have a very long way to go and so many more breeds to cover. Do not forget there are still the large breeds and the extra large breeds yet to come. The Miniature American Shepherd originated in the United States of America a breed of small herding dog known for being built to move around on punishing terrain doing their job herding and have an affinity for horses. These self-motivated workers stand 14 to 18 inches at the withers, weigh 20 to 31 pounds, and have a life expectancy of 13 to 15 years, the beautiful double coat can be found in black tricolor, blue merle, red merle, and red tricolor (merles will exhibit in any amount marbling, flecks, or blotches). Their resemblance to the Australian Shepherd is uncanny but they are a much smaller breed that is often trained for sports in agility, obedience, fly ball, canine freestyle, and herding. A true herding breed these small dogs are intelligent, loyal, energetic, trainable, versatile, and rugged. As a family pet with children they have the proper temperament to handle children well though when things get raucous they are known to begin herding by barking and nipping at heels. An endearingly loyal and lively companion dog he gets along well with other pets but does require plenty of exercise and grooming. 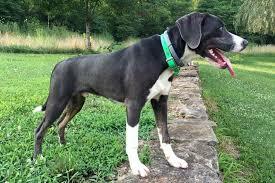 The Mountain Cur originated in the United States of American bred specifically for trailing and treeing small game, like raccoon and squirrel. 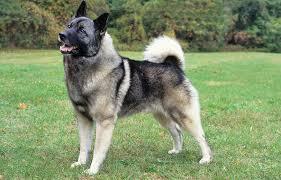 A breed used for hunting and baying big game like wild boars and bear and the all-purpose farm dog. This breed was a crucial part of early pioneers, settlers, and homesteaders, standing 18 to 26 inches at the shoulder, weighing up to 60 pounds, and having a life expectancy of 14 to 16 years, their job was to do whatever its master required. As a hunter they respond to training with a lot of human contact, a courageous fighter they track with head high in the air having a clear bark that can heard a great distance away. A Mountain Cur will make a hunter the best companion in the world they are quiet, protective, tough, courageous, extremely intelligent, and high energy as an outside dog. As a family pet with children they will to do well along with anyone the family is acquainted with including other pets, however, they are not friendly toward strangers and this makes them the excellent watch dog when properly trained. Their double coat can be either coarse or smooth with a soft under layer in colors of black, brindle, yellow, and black & brindle. Not a breed for apartment living or the elderly these dogs need space to run. 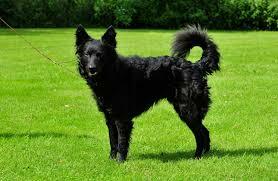 The Mudi, (pronounced “moodie”), originated from Hungary in the 19th century evolving naturally from crosses of the Puli, Pumi, and German Spitz breeds. Bred as a worker used for herding both sheep and cattle on the Hungarian farms. A medium size breed known for his courage in working the most stubborn livestock standing 15 to 19 inches, weighing 18 to 24 pounds, and having a life expectancy of 13 to 14 years, still being used today for farm dogs in their native land. The Mudi is a very rare breed it is estimated there is no more than a few thousand worldwide with the greatest population being in Hungary. They excel at obedience, fly ball, and agility training as well as participating in a variety of other dog sports. The breed has found fame working as a search and rescue dog in both the United States and Finland showing the amazing intelligent and trainability of the breed. Mudi (plural is Mudik) as a family pet will to do well with children and other pets as long as they are raised with them, the breed is a loyal protector of property and family members not being overly aggressive but rather aloof and watchful when strangers are introduced. 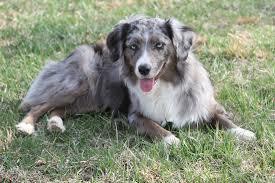 The short curly coat can be seen in black, white, fawn, ash, brown, and black merle. Temperaments are lively energetic, alert, keen, intelligent, courageous, agile, and extremely versatile. They to do require a fenced in yard for exercise and play to expel the high energy and are not suited for apartment living. 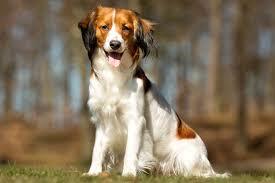 The Nederlandse Kooikerhondje originated from the Netherlands, a spaniel-type breed of Dutch ancestry the was used as a working dog in an eendenkooi to lure ducks. Popular in the 17th and 18th century appearing in the paintings of Jan Steen and Rembrandt. Kooikerhondje (Koi-ker-hond-yuh) as they are known for short stand 14 to 16 inches at the withers, weigh 20 to 24 pounds, and have a life expectancy of 12 to 14 years. A sporty, eye-catching breed with a silky all-weather coat of all white with reddish/orange patches and black-tipped ears, with a wagging feathered tail you can easily recognize the dog. A serious hunter with perseverance and stamina he enjoys working, outdoors they are a true sporting dog. The Nederlandse Kooikerhondje is lively, agile, self-confident, good-natured, alert, faithful, easy-going, friendly, keen, swift, tough, attentive, energetic, benevolent, intelligent, active, and territorial. Along with all these wonderful qualities they are playful and affection considered to be safe and reliable with children as a family pet. Their love for the water and playing can make them a great playmate for active children with a yard. But due to the affectionate side they can make a great companion to the elderly who love to cuddle having a lap dog to take for a walk to the dog park. The Norwegian Buhund originated from Norway a Nordic Spitz-type breed associated with the Vikings and related to the Icelandic Sheepdog and the Jämthund. Bred as an all purpose farm dog for herding, a watch dog, and a nanny dog. A medium-sized all weather worker standing 16 to 19 inches at the shoulders, weighing 26 to 40 pounds, and having a life expectancy of 13 to 15 years, they are adept at herding and guarding. Being a typical Spitz breed which is a cold-weather dog they have the double coat that stands medium length from the body with a short soft layer underneath and they shed twice a year so daily brushing is recommended. The tails curve tightly over the back and erect pointed ears (“Spitz” in German means “pointed”) are characteristic of the Spitz breeds. Norwegian Buhunds can be found in wheaten, black, or red wheaten. 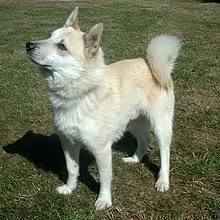 As family pets the Norwegian Buhund is a self-confident dog that is very affectionate with children and typically gentle. They are friendly, energetic, agile, courageous, fun-loving, smart, and steadfastly devoted dogs. Raised with other animals they will usually get along well with them. Active dogs they need plenty of exercise, but at the end of the day are happy to rest beside their people in the evening, not an apartment type breed or for the elderly. The Norwegian Elkhound originated in Norway the Spitz-type breed is the National Dog of Norway, one of the ancient breeds they have served as hunters, guardians, defenders, and herders. Standing 19 to 20 inches at the shoulders, weighing 49 to 55 pounds, and having a life expectancy of 12 to 15 years they are known for the courage they have in tracking and hunting moose, and other large game such as wolves and bear. A double-coat that sheds dirt and is weather-resistant the topcoat is short and thick and lies smooth where the undercoat is dense, woolly, and soft to the touch in a medium gray with black-tipped guard hair accented by light silver. Looking for a family pet that will to do well with children then you might have found the one that is most loyal and affectionate here today. Norwegian Elkhound’s are dignified, bold, hardy, loyal, alert, playful, strong-willed, agile, confident, intelligent, sensitive souls, with a splash of hound independence. Friendly once introductions are mad with strangers but can be aggressive to other dogs and animals however proper socialization from puppyhood can dissipate this problem as they age. Due to the strength and herding background of this breed not recommended for apartment living or the elderly. The Nova Scotia Duck Tolling Retriever originated from Nova Scotia a gun dog breed primarily bred for hunting and retrieving. 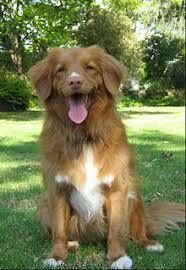 Often mistaken for a small Golden Retriever they are often referred to as a “toller” the smallest of the retrievers. Standing 17 to 21 inches at the shoulders, weighing 37 to 51 pounds, and having a life expectancy of 10 to 14 years, this small Toller’s trademark is a stunning crimson coat, ranging from golden red to a dark coppery color, with white markings. Nova Scotia Duck Tolling Retrievers are known to be intelligent, easy to please, alert, patient, alert, outgoing, intelligent, loving, and high-energy dogs. You can play fetch with a Nova Scotia Duck Tolling Retriever until you arm falls off, but they will ask you to switch to the other arm and keep on playing. Are you a high energy family looking for a pet that loves swimming (ideally suited with their webbed feet), hunting, camping, hiking, or having a dog that will excel in obedience, agility, tracking, field work, or any type of dog sport? Then this is a perfect breed for you high-spirited, playful, and good-natured, people-pleasers who are happy to see almost everyone whether having two legs or four legs they are affectionate and confident dogs. This breed is not for the sedentary, so if you live in an apartment and are looking for a dog that needs only minimal exercise this is not the one for you, nor the elderly as a companion either. Alright, we are half-way through the medium dog breeds finally but still have a long way to go. These breeds above have some really great personality and temperament traits from what I found when doing the research on them. What are your thoughts about these breeds? 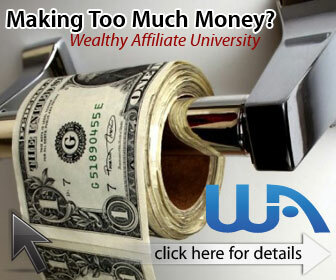 Find any that would fit into your lifestyle? Since I love hearing feedback on my articles please leave answers to my questions or if you have any comments, suggestions, or questions leave them in the space provided below.